Black Friday and Cyber Monday are in the past, but we are now in full holiday shopping mode. If you’re like the average Canadian, your credit cards have already taken a hit and will continue to do so until the new year. Gifts and food and decorations… none of it is cheap. Many just resign themselves to the inevitability: the holidays result in debt and that’s just the way it is. To prove to you that this isn’t the case, I have a little challenge for you. Today is Friday. For the span of the weekend, I want you to go credit free. Go get your wallet and fish out all of your credit cards. Every single one. Now put them somewhere out of sight. Maybe slip them in your sock drawer, or slide them in under your mattress. Now, leave them there until Monday morning. Yes, I said Monday morning. Instead, live off the money in your bank account or cash on hand. Instead of grabbing yourself another Baconator for lunch, you may actually open your cupboards, look at what you have, and create a meal based on that. Perhaps you have to get a gift for someone you’re seeing on Sunday and you opted to print out a meaningful photo instead of buying something expensive. Perhaps you changed your plans to go out for dinner with a friend and had them over to play Pictionary instead. Whatever the case is, you will suddenly realize you’re a lot more resourceful than you may have imagined. It’s easy to just whip that little bit of plastic out and tap it, and sometimes we do it just for that ease. Life moves fast and can get complicated, and so we often overlook the debt we’re accumulating and only see the convenience as we’re struggling to get everything done. Once you don’t have that little plastic convenience on you anymore, it’s going to become brutally apparent how often you use it without thinking about it. A coffee, parking, postage… it can all add up and you’re going to become more aware of that if you’re using cash on hand instead. When you use your credit cards, you spend more than you can afford. If you truly want to save money and build your credit, you have to master the ability to live within your means. It’s easy to charge things to a card in the moment without thinking about the cost in the long run. If you’re using cash on hand, though, you have no choice but to only spend what you’ve got. You will find that you’ll consider what you’re buying more carefully when you restrict yourself to the cash you have in your pocket. Even if you have to give up beer for the weekend, or change your plans to go to a movie, you’re still going to get to the end of the weekend with your life intact. In fact, you will come out of it a better version of you, with more understanding of your own spending habits and deeper faith in your own ability to solve a problem. Providing your weekend goes off without any emergencies (and no, beer is not an emergency! ), try to really stick it out. You will walk away with a deeper understanding of what you spend and where, and you might even learn enough to stop relying so heavily on your credit sources. This is a great step on your road to better credit and greater wealth. And if you're lacking in motivation, check out this video from Interac about staying in the black this holiday season! 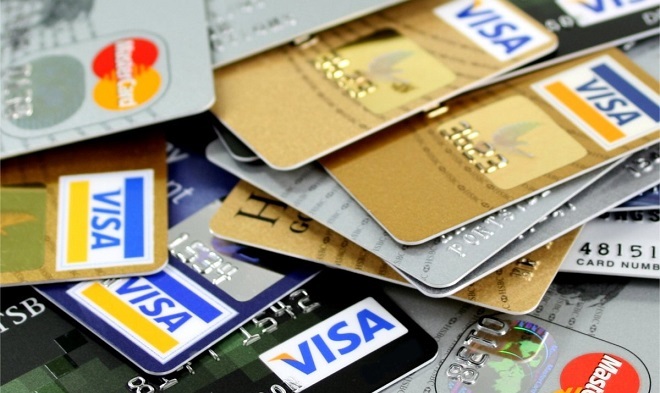 Do you think you can make it through the weekend without your credit cards? Let us know in the comments!